Disney’s animation wing has undergone a rebirth since Pixar head John Lasseter took the reins, and this is the third film to benefit from his direct input, following Bolt and The Princess and the Frog. 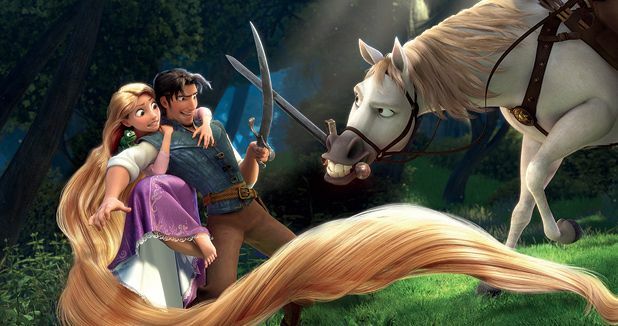 Like those two, Tangled is high-quality family entertainment, jaw-droppingly well animated and funny, but it similarly lacks the easy charm and ethical clarity that has guaranteed longevity for studio’s best films. Tangled is a retelling of the Brothers Grimm’s Rapunzel, and despite its funky title it is a relatively traditional Disney take on the story, right down to the inclusion of some show-stopping musical numbers. Rather than embellishing the narrative with self-referential commentary (a blessed relief in this post-Shrek era), directors Nathan Greno and Byron Howard find new approaches to familiar characters. This Rapunzel (voiced by Mandy Moore) is a winning mix of independence and hopeless naivety, so when bandit Flynn Rider (Zachary Levi) crashes through her window, it’s as much her gung-ho attitude as his self-seeking determinism that gets them on the road to adventure. The directors lose points for their lack of originality, though: every big scene is directly pulled from Disney’s back catalogue. There’s a chase sequence from Aladdin, a romantic boat scene straight out of The Little Mermaid and a finale that’s pure Beauty and the Beast. Tangled is a crowd-pleaser for sure, but not one for posterity. Disney/Pixar funk-up of the classic tale of Rapunzel that is nonetheless traditional to the core, blessed with catchy musical numbers and a plethora of scenes ripped off directly from the studio's own back catalogue (see Aladdin, Little Mermaid et al). Funny and impressive, but lacking charm.